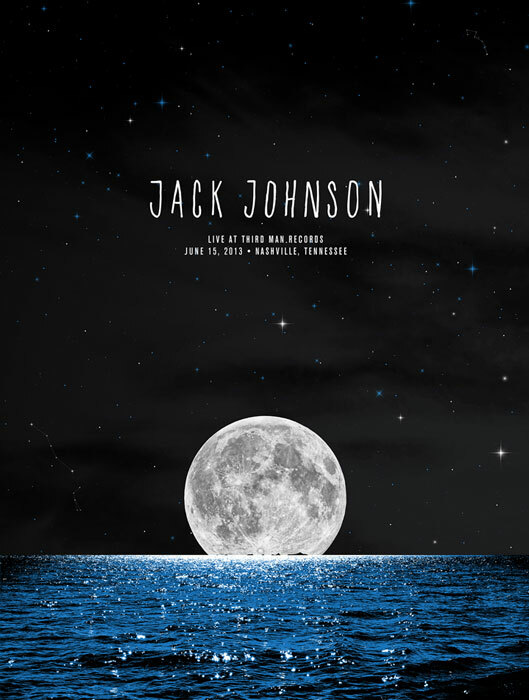 Before Jack Johnson’s last minute “saves the day” addition to Bonnaroo’s Saturday night line-up to replace an ailing Mumford and Sons, he stopped by Nashville’s Third Man Records for a super special “live show recording meets breakfast” engagement like only Third Man can pull off. While a concert set for a Saturday morning may be a recipe for disaster for most bands, Jack’s laid back, sun-soaked tunes provided the perfect soundtrack for the all-ages, family friendly audience. That’s right, the room was full of bright-eyed and bushy-tailed kiddos - along with their not-quite-as-bright-eyed parents - dancing and singing along to every song. However, it wasn’t just the pre-show donuts and coffee or the pint-sized audience members that made this show extra unique. Third Man was also recording Jack and his band directly to acetate disc, an analog recording process that delivers superior sound quality by cutting directly to a master disc. Audience members could watch this process unfolding in two ways – through the large window just off the right side of the stage that looks directly into the recording lab or via a television monitor capturing a live feed of the lab. As with almost all live shows in Third Man’s Blue Room, the concert was being recorded for a vinyl release, including the exclusive black-and-blue version that was included with ticket purchases. Like I said, super special experience on all fronts. Because of the unique process of recording directly to acetate – meaning no cuts, overdubs or “fixes” – Jack and his band opened up with an unrecorded “Inaudible Melodies” to get the proper levels and sounds. This fan favorite got the crowd immediately invested, as it turned out to be the first of many sing-a-longs featured in the set. After the “all good’ signal from the lab technicians – looking very Willy Wonka-esque in their TMR-branded lab coats – Jack opened the recorded portion of the show with “Banana Pancakes” to an extremely enthusiastic response. If anyone thought the kids in attendance would only know stuff from Jack’s contributions to the Curious George soundtrack, the reaction to this bouncy track from his In Between Dreams album proved them wrong. 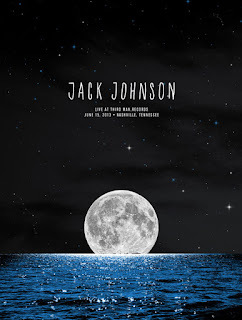 In fact, Jack's decision to feature a few songs from that album went over really well as songs like “Do You Remember,” “Good People,” and “Better Together” seemed to get some of the loudest background vocals from the audience. He also delighted the crowd with a few songs from his upcoming album, From Here to Now to You (releasing September 17), including “Radiate,” “As I Was Saying” and “I Got You,” which featured him swapping out his trusty acoustic for a gorgeous sounding nylon-string guitar. Appropriately enough, he also played his cover of The White Stripes’ “We’re Going To Be Friends,” endearing himself even more to the audience and playfully paying homage to the man whose room he was playing in. After running through six songs for Side A of the vinyl, switching out the acetate disc, and running through six more songs for Side B, Jack then coolly asked the crowd if they minded if the band practiced a few more songs for that night’s Bonnaroo performance. After an approving roar from the audience, Jack and his band played through a spirited “Flake” (my personal favorite of his), a laid-back “Breakdown” (thanks to a ukulele surprisingly furnished by an audience member), and a touching “Hope” to poignantly cap the show off. Between the fantastic music, the charming child-like enthusiasm from the child-filled crowd, and all of the special little extras provided by Jack Johnson and the fine folks at Third Man, it ended up feeling like more than just a cool show, it was a one-of-a-kind experience that won’t soon be forgotten, Especially since there’s some tasty sounding (and looking) vinyl waiting to be pressed and then enjoyed for years to come.